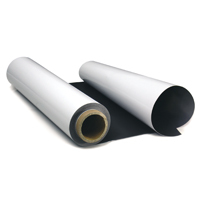 Magnetic graphics are easy to install and can be rolled-on by store-level employees. They can be stored and shipped in a tube; ensuring retailers no longer have to accept costly shipping and labor-intensive installations as the industry standard for changeable graphics. At the end of their lifecycle, graphics can be recycled. Magnetic graphics have transformed the way that brands roll out in store campaigns by allowing for unrivaled flexibility while achieving stunning visual results. With all of the effort and attention to detail that leading retailers put into creating the perfect image for an in-store graphic, the results should be flawless. In retail stores magnets can be used as a cost effective solution for graphics. Our products provides changeable, easy-to-install solutions for lifestyle imagery, wallcoverings, changeable signage, point-of-purchase graphics, fixtures and more. Using our materials, retailers can be more agile than ever before..
For more detailed information about these and other magnetic solutions offered at Read&Co. please contact us at sales@readinkjet.com or 800-564-7323.